When will be I Am Homicide next episode air date? Is I Am Homicide renewed or cancelled? Where to countdown I Am Homicide air dates? Is I Am Homicide worth watching? Investigation Discovery, the leading destination for true-crime programming, announced today that production has begun on an all-new original series, I Am Homicide, following homicide detective Garry McFadden. Detective McFadden is an officer unlike any other. Fully immersing himself in every corner of Charlotte to protect and serve the community, Detective McFadden uses his street smarts to work the neighborhoods and gather critical information for leads, no matter how dangerous. Chances are, when the call comes in, Detective McFadden knows those involved - whether it's the victim, the family members... or even the perpetrator. Every day, he risks his life by trusting the streets he calls home. Detective Garry McFadden finds it hard to separate out his personal feelings after a friend is killed; his investigation hits a dead end, then DNA test results give him the answers he needs, and the answers, like the crime itself, hit close to home. When Detective Garry McFadden agrees to do a favor for a witness, he finds himself involved in a strange murder investigation that plays out over one of the longest nights of his career, leading to an unexpected killer. Detective Garry McFadden must delve into the dark world of white supremacy in order to take down a slippery murder suspect who flees town and leads McFadden on a a cross-country manhunt. The serenity of an "old money'' neighborhood is shattered when an elderly resident is attacked and killed while coming home from church; Detective Garry McFadden investigates the victim's stabbing death and the subsequent use of her credit cards. 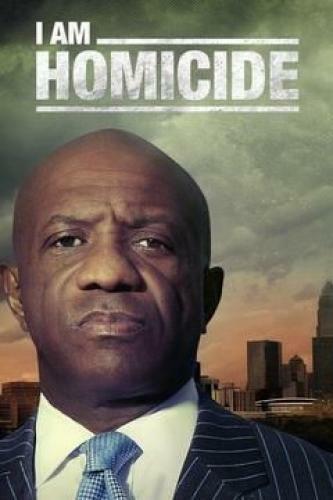 I Am Homicide next episode air date provides TVMaze for you. EpisoDate.com is your TV show guide to Countdown I Am Homicide Episode Air Dates and to stay in touch with I Am Homicide next episode Air Date and your others favorite TV Shows. Add the shows you like to a "Watchlist" and let the site take it from there.